man, it is pouring here. the rainwater tank is overflowing like there is a high pressure hose connected to it. 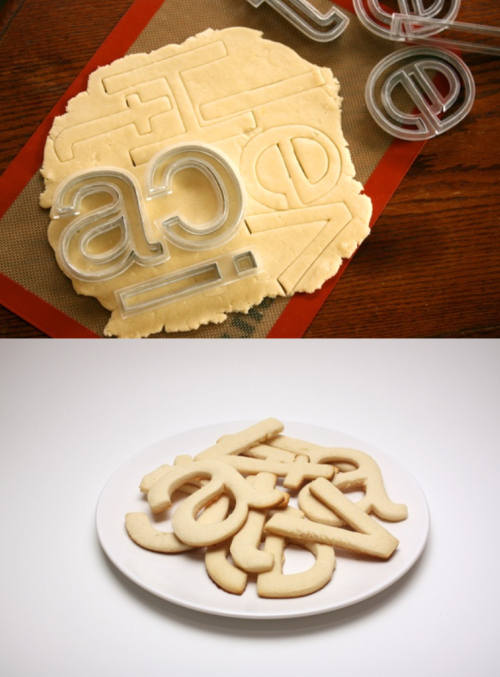 good day for baking methinks & don't i wish i had some of these cookie cutters by beverly hsu to make some awesome helveti-cookies, as first seen on the awesome seesaw blog. you know how i love me some helvetica.